We only represent products whose quality and value is unsurpassed in the industry. If you need a single cabinet for a bathroom vanity or cabinets for an entire kitchen, we offer a line to fit every budget. From builder grade to beaded inset custom cabinets and every level in between. Thousands of door style/finish combinations assure you of finding exactly what you need to express your own personal style without having to compromise. Full kitchen or bath remodeling is typically an involved process. As a full service remodeling contractor, we can help you draw up floor plans to get the most comfort and convenience out of the available space. We can strip and demolish your old kitchen completely, including old cabinets, fixtures, walls, floors, and ceilings and create your dream kitchen from the ground up. Our experienced craftsmen handle every aspect of your job. Carpentry, electrical, plumbing, ceramic tile, hardwood floors, whatever your needs we have the expertise to do it right! Medallion Cabinetry offers endless ways to infuse your kitchen with your own personal style. Discover the freedom to craft a space that is your very own..
Medallion Cabinetry, a division of ELKAY Manufacturing, has been producing fine kitchen and bath cabinetry since 1969. No other cabinet manufacturer offers as many ways to customize your kitchen as Medallion Cabinetry. 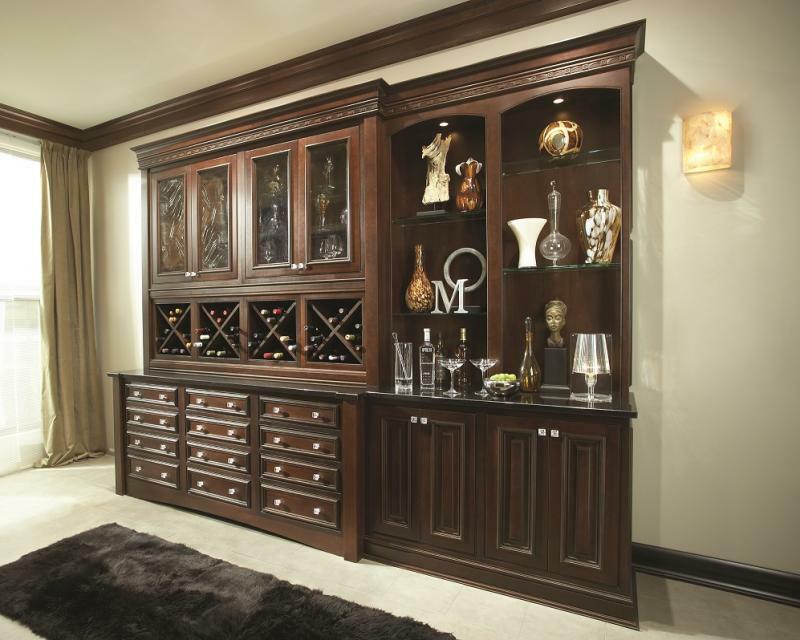 Their cabinets are made from the best materials skillfully crafted and meticulously finished. From serious cooks to weekend gourmands, everyone can find a Medallion island that makes cooking more efficient and personal style more evident. Choose from an array of options, from one and two-drawer styles, to islands with butcher block tops and complementing rails. Get creative by selecting a specific leg and mixing and matching door styles, finishes, even colors. Create your dream with smart design details such as wicker basket drawers, decorative corbels, wine racks, towel racks and patterned glass. It is hard to find anyone who can think outside of the box with a bathroom remodeling. Classic Kitchens had ideas on how to make our powder room look amazing from the chandelier to the granite floors. For a number of my clients, no kitchen design and style cabinets is complete lacking any island at the center. The island is among the most icon of present day kitchen—the 21st-century equivalent on the old-fashioned hearth. You can understand why. The phrase My spouse and i hear most often—true of my own house as well—is "Like cabinets Downingtown PA it or not, Downingtown PA everybody leads to the kitchen. "A well-designed island comes with a cabinets place for Downingtown PA individuals cabinets Downingtown PA to congregate cabinets while simultaneously separating those that are cooking and cleaning from those who find themselves just Downingtown PA hanging available. A professional kitchen cabinets West Chester PA will West Chester PA let kitchen cabinets you sort through the many types. You’ll want West Chester PA to help compare wood and laminate finishes and search for smart storage and organization solutions, for example pull-out spice holders, hideaway bins, and kitchen cabinets pop-up shelves that mimic any jack-in-the-box West Chester PA to permit you to access or obscure counter appliances. In its entirety, kitchen cabinets cabinetry trends lean toward simplicity along with an uncluttered look. Bulky, ornate cabinets are now being replaced by kitchen cabinets West Chester PA sleek options. Slimming attributes include integrated deals with, sliding doors, open up low cabinets, hanging islands, sleek materials, and simple Shaker as well as frameless styles. In terms of choosing the finest for your property, natural stone has a look that's hard to help beat. Using stone close to the house gives your possessions a kitchen cabinets feeling regarding authenticity and record. Granite in kitchen cabinets particular is usually Exton PA a highly prized Exton PA constructing material in any capacity. In Exton PA Philadelphia, granite countertops usually are not as common while tile or laminate, so they're an incredible addition to kitchen cabinets Exton PA consider in order to kitchen cabinets give your home an exceptional look and increase its market price, too. Any vanity is considerably more than just any sink with Downingtown PA counter kitchen cabinets space and also a kitchen cabinets mirror. Ideally, it should provide space for storage for a selection of kitchen cabinets Downingtown PA supplies, with room to set up to make things accessible. It should also be Downingtown PA durable sufficient to withstand various uses in your kitchen cabinets potentially humid environment with the bathroom, and it should be big enough regarding multiple members of the house, which sometimes requires building many vanity to stay Downingtown PA clear of turf wars; numerous master bathrooms, kitchen cabinets Downingtown PA by way of example, have two personalized bathroom vanities. With regards to choosing the very best Downingtown PA for your house, natural stone has a feel and look that's bathroom cabinets hard to be able to beat. Using bathroom cabinets Downingtown PA stone Downingtown PA in and around the house gives your belongings a feeling connected with authenticity and historical past. Granite in particular is often a highly prized developing material in any capacity. In Philadelphia, granite countertops are not as common seeing that tile or bathroom cabinets laminate, so they're a bathroom cabinets Downingtown PA great addition to Downingtown PA consider if you wish to give your home an exceptional look and elevate its market bathroom cabinets benefit, too. A professional will help you sort through the many different types. bathroom cabinets Chester County PA You’ll want for you to compare wood along with laminate finishes and shop for smart Chester County PA storage in addition to organization solutions, for example pull-out spice holders, hideaway bins, and pop-up racks that mimic some bathroom cabinets sort of jack-in-the-box to allow you to access or disguise counter appliances. All together, cabinetry trends lean toward simplicity as well bathroom cabinets as an uncluttered Chester County PA search. Bulky, ornate cabinets are now being replaced by structured options. Slimming characteristics bathroom cabinets Chester County PA include integrated deals with, sliding doors, open Chester County PA up low cabinets, floating islands, sleek resources, and simple Shaker as bathroom cabinets well as frameless styles. For a lot of my clients, no kitchen design and style is bathroom cabinets complete without an island at it is center. The island is among the most icon of West Chester PA the present day kitchen—the 21st-century bathroom cabinets West Chester PA equivalent of the old-fashioned hearth. The process under way understand why. The phrase West Chester PA I hear most often—true of my own house as well—is "Like it or not, everybody ends up in the kitchen. "A bathroom cabinets well-designed island offers bathroom cabinets a place for people to congregate while as well separating those bathroom cabinets West Chester PA who definitely are cooking West Chester PA and cleaning from those who find themselves just hanging away. Pertaining to Philadelphia, ceramic Exton PA floor tile has bathroom cabinets a lot of advantages that are worth considering when building or even remodeling. bathroom cabinets First off of, it bathroom cabinets Exton PA is good under moist conditions. bathroom cabinets The snow in addition to slush that stay with bathroom cabinets Exton PA shoes in the winter Exton PA months won't stick to help or Exton PA damage some sort of tile floor. If hardwood is exposed to that slushy wreck repeatedly, you could easily end up getting moisture cracks that will make the Liberty Bell blush.